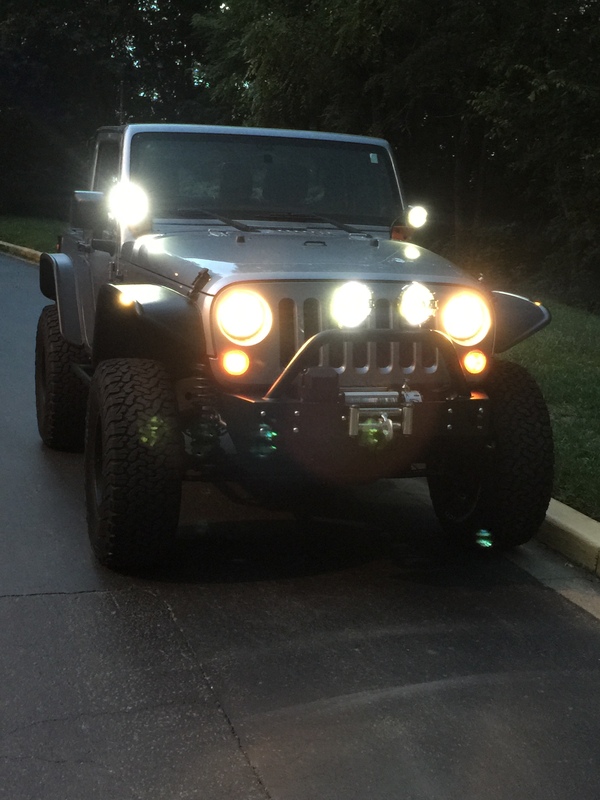 Once you see the brilliant white beams from the PIAA LED lights, you are left wanting more. The weak yellow halogen beams from the stock headlights just won’t cut it any longer. We were extremely thankful to receive a sponsorship from Truck-Lite and shortly after, a pair of their 7 inch round LED Headlights, 27270C. The most striking feature of these lights is their black inner reflective surfaces. They also rack up the technical specs with 50 times longer life than Halogen bulbs, a low power draw, and a rugged design that lives up to military specifications. The lights main claim to fame, however, is the much increased lighting power they offer. To install the headlights, I first took out the (6) push pins that hold the front grill in place and leaned the grill forward. I unscrewed the retainer ring around the stock headlights using a torx wrench. Once the stock lights are removed, you notice that the halogen lights’ faces are extremely rounded while the LED lights’ faces are much flatter. 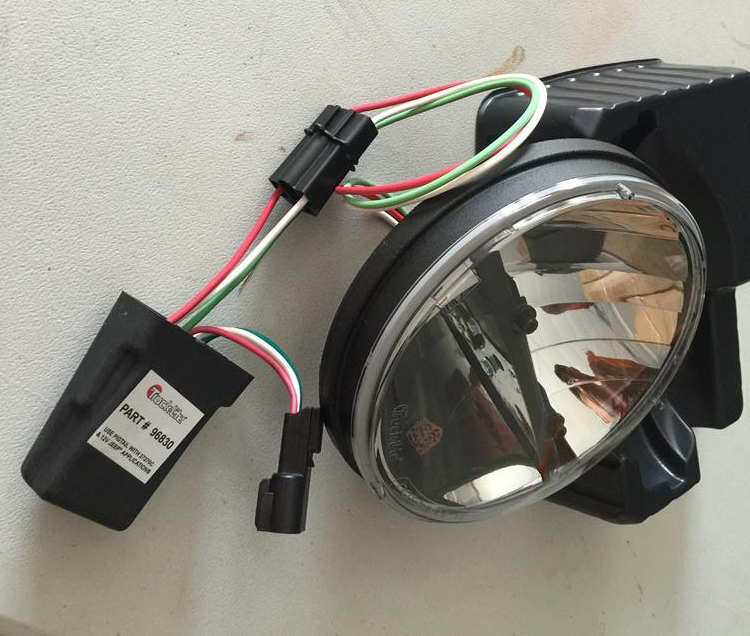 The LED Headlights require a LED Headlamp Adapter, 96830, to plug between the headlight and the stock wiring connector. The Adapter fits snugly into the space behind the headlight when installed. 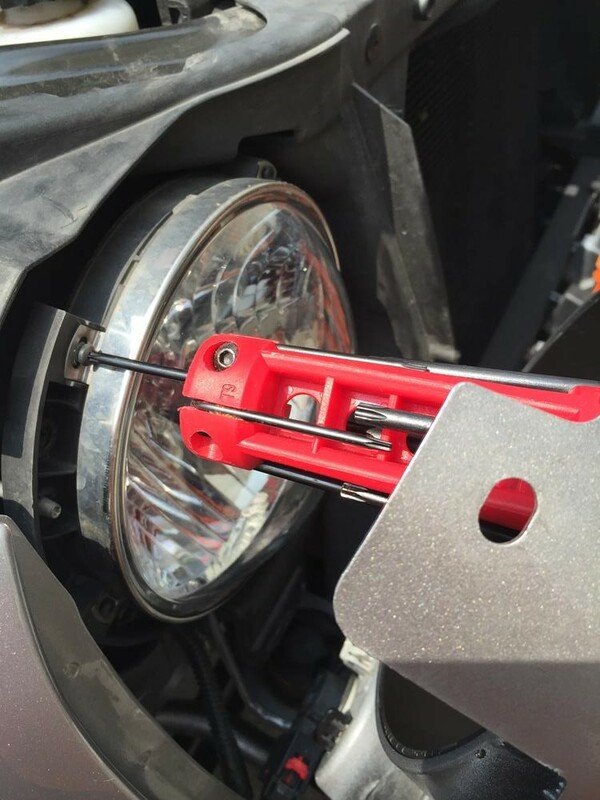 The LED headlight, just like the stock headlight, has grooves around its edges so that you are sure to put it in the correct position inside the headlight housing. 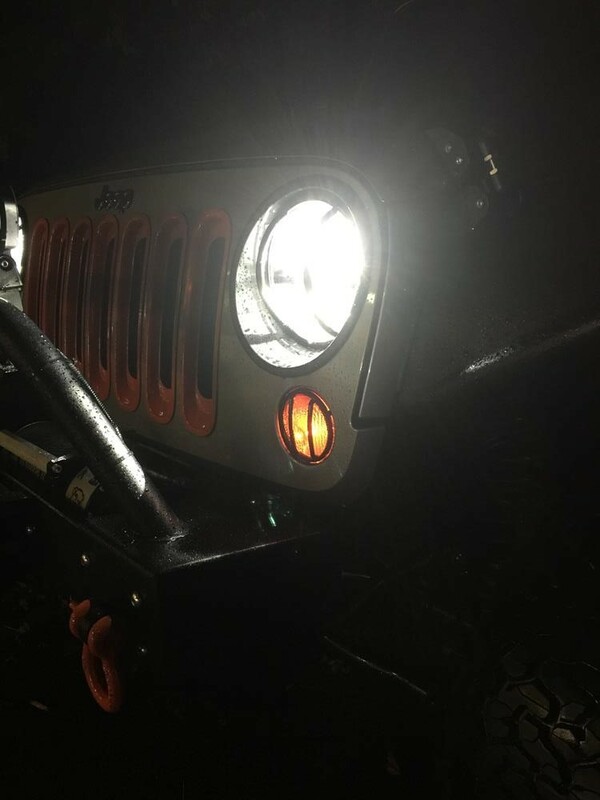 I replaced the stock retainer ring with the Rugged Ridge Euro Headlight Guards. 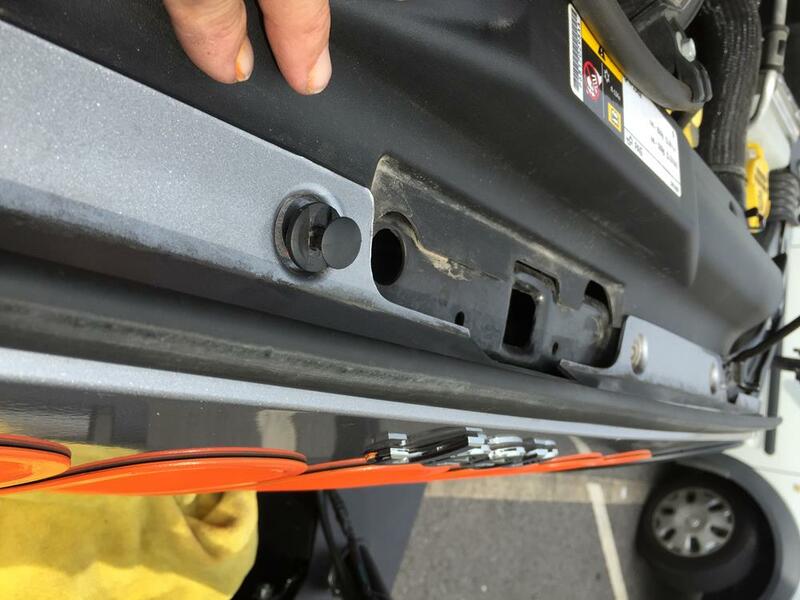 The stock retainer would have seated on the ridge half way down the sides of the Truck-Lite Headlight. 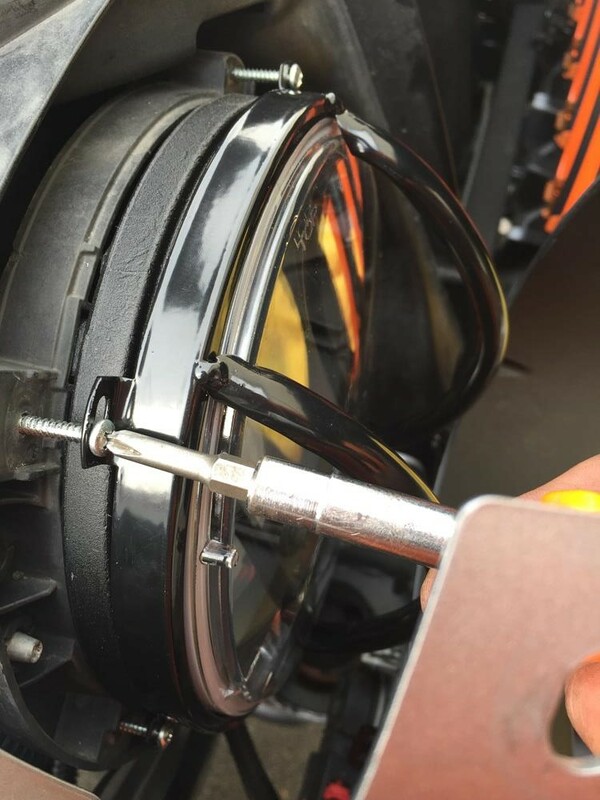 The Euro Head Light Guards seated on the face of the headlights.I replaced the stock torx screws with longer phillips screws and had no problem securing the guard and the headlights to the headlight housing. 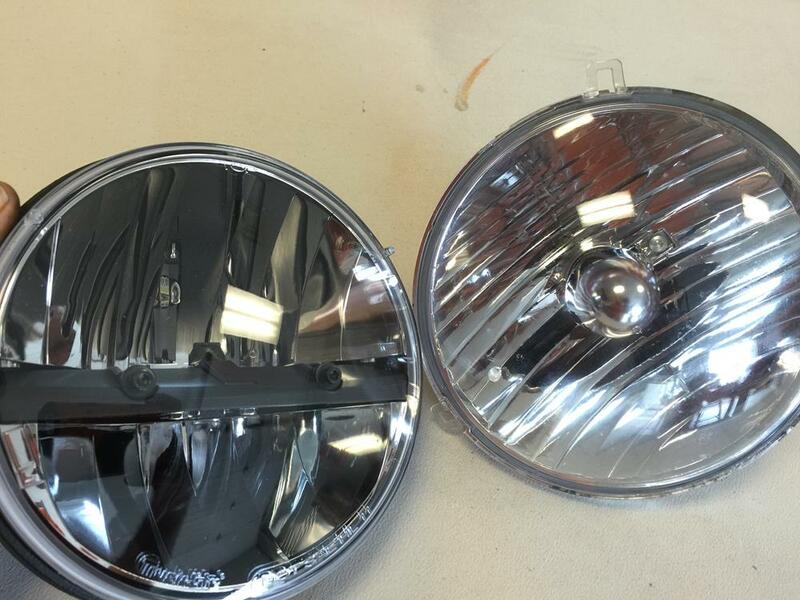 The Rugged Ridge Euro Headlight Guards would have sat flush against the rounded stock headlights. The Headlight Guards stick out from the much flatter LED Headlights, but this positioning does not keep them from performing their function or from looking great. 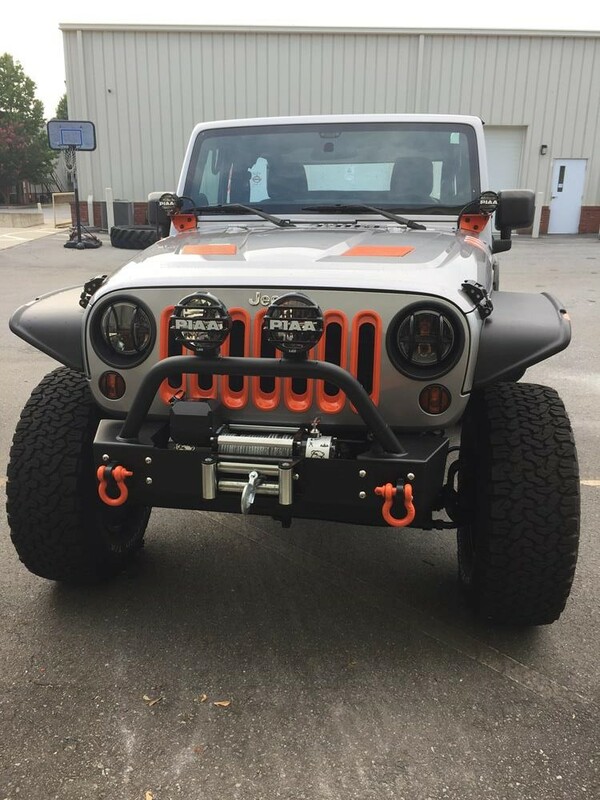 Once I secured the grill back in place, I was left with a fantastic looking front end. The real surprise came when driving for the first time at night. Wow, these lights are bright! Places you have never seen on the road before suddenly come to life. I thought for sure that I was blinding oncoming drivers, but no one flashed their brights at me. I even tested the lights with friends to make sure I wasn’t creating mayhem on the road. 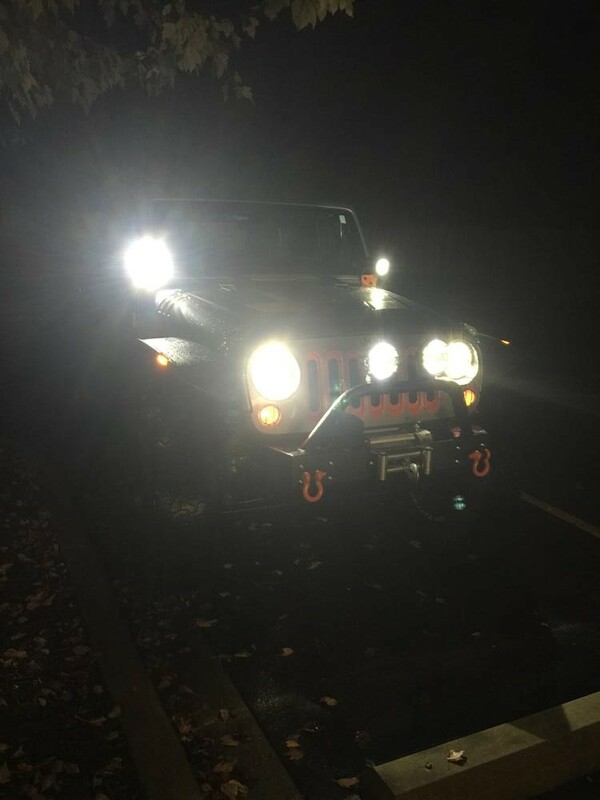 The reputation of these LED Headlights is well deserved! In regular driving mode, just the top half of the headlight is lit. In high beam mode, the top and bottom halves of the headlight are lit. 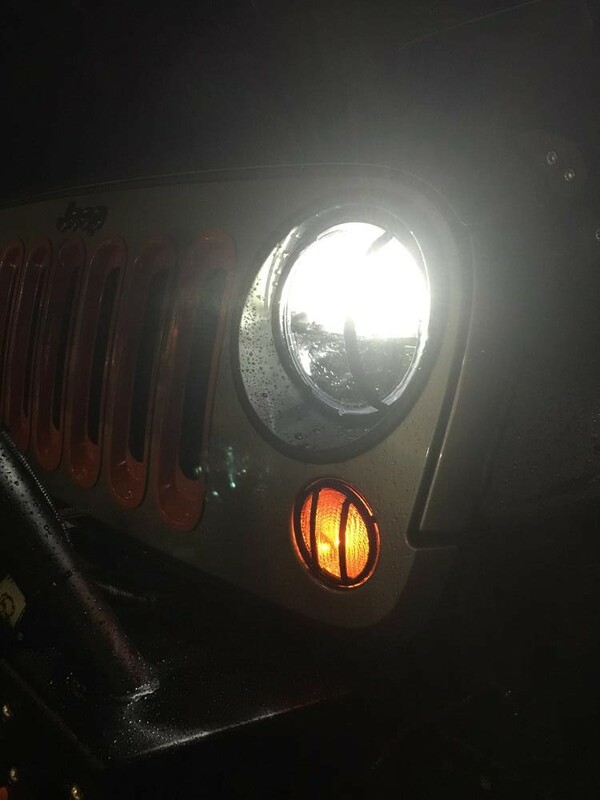 All of the front lights are now bright white – what a difference. LED vs Halogen; is there a debate? Just like the packaging says, these lights are bright!